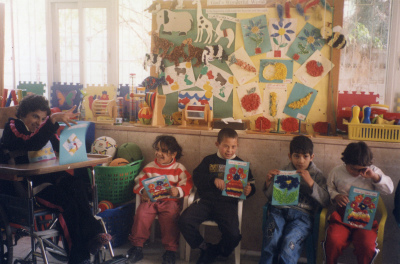 Despite the upsurge of violence across the region, The Sheepfold continues to help children and young people with a wide range of special needs, especially those with no other place to go with severe disabilities. The special needs classes, development activities, physiotherapy and small-scale humanitarian aid to the children and their families, including medical expenses, that The Sheepfold offers are critical for these most needy of children. There’s one precious new face this year, a very sweet little girl, Dunia*, with Down’s Syndrome and speech delay. 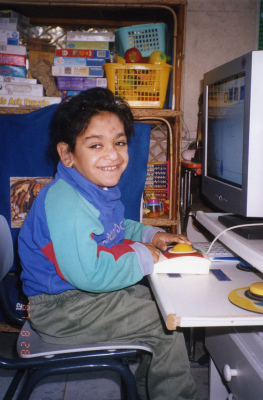 She’s settled in very well and loves to learn on the computer using a programme for those with such special needs. She’s also been given remedial exercises by the speech therapist to help improve her breathing. It’s wonderful that Ahmed* is still with us as a year ago the doctors didn’t really expect him to live much longer due to his age and profound disability. He’s still weak and poorly, but his health has improved a little. He loves coming to The Sheepfold and we endeavour to make what remains of his life as happy as possible. 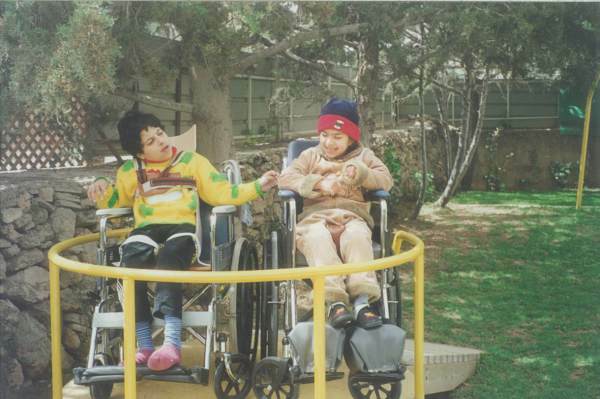 He has two physiotherapy sessions per week – one at the centre and one at home. It was so good to be able to provide three special needs buggies (for larger children) for one mother of two siblings with disabilities caused by a rare disease and the grandmother of another girl with severe disabilities, for use in their homes. They were purchased and brought out by ABCD in January this year at a fraction of their real cost. Heartfelt thanks to them from a very happy mother and grandmother and the children of course!